Zayn Malik has claimed he’s already asked Max George to a fight – but The Wanted singer turned the offer down! Max this week said he’d be up for a boxing match with One Direction. “We would like a boxing match, them against us. It would be brilliant for TV and I have no problem with it at all,” he said. 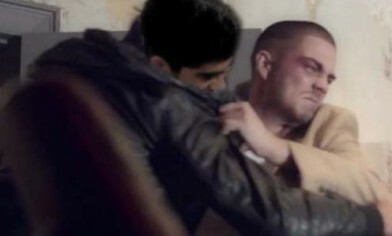 But Zayn has now claimed he’s already offered to fight Max, but the 24-year-old turned him down. “I already offered Max,” he told The Metro. The rest of the boys also took the opportunity to speak up about their rivals. And Liam Payne jibed that they were “all too busy anyway”. “We’d have to do it on a day off and that would be boring,” he added.